Does it matter which one you choose? You want hands-on experience in your major. You want a top-notch education, but you don’t want to have student loans for years after graduation. What's the best way to figure out how to choose a college that's right for you? Surprise: A state college or university can offer you all of the above. What does a state school have to offer? The most obvious benefit of a state college is affordable cost. At Fayetteville State University (FSU) in North Carolina, the approximate cost of tuition for the is $2,659 per year for in-state residents. 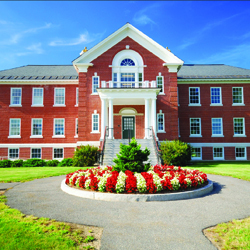 Private universities and colleges often have a higher tuition per year. Take New York University (NYU) in Manhattan, for example, where the Web site publishes the cost of tuition as $30,095 per year no matter which state you’re from. But take note: Tuition at state schools is higher for non-state residents. For out-of-staters at FSU, for example, tuition is $12,020 per year. When it comes to your overall college experience, how to choose a college that is either public or private college is simply what you make of it. Getting involved in campus activities is a great way for you to have fun and meet new friends. It will also give you experience in teamwork and time management that you can use after you graduate. Will attending a state school affect your prospective jobs after graduation? Dr. Thomas B. Matthews, director of career services at the State University of New York IT, says, “Employers are hiring well-rounded individuals with a balance of educational credentials and relevant experience.” That means that it doesn’t matter where you got your degree, but rather if you were involved wherever you went. Did you have an internship, or did you sit in the back of all your classes and shy away from campus activities? As you begin figuring out how to choose a college that is right for you, think about all of the important aspects of college life. Does the price suit you? Does the college offer the program that you want? Do they offer a vast array of clubs and organizations in which you can be involved? Your final college choice should be based on the answers to those important questions, not whether it’s a public or private college.